Your notebook has image defaults? The MacBook Retina display got broken or has scratches? You do not need to buy a new mac or laptop! You have a broken display or image defaults like white spots and pixel errors or the screen is too dark - The three most common display malfunctions are broken glass, line error and scratches. Fortunately they don´t mean your notebook is electronic scrap - we will find a suitable display for your notebook and offer replacement the same day. The change of your broken display will just take several minutes up to maximum two hours! From the wealth of our displays we are looking out for you the best and cheapest. You will see that we will always provide you with fair conditions. Then we are in fact proud to offer our customers in Berlin good used displays in order to keep prices low as possible. Installation is always on the same day. MODELS: Samsung, Lenovo, Dell, Apple, Fujitsu, Acer, Medion.. 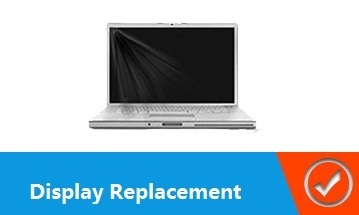 Display change for nearly all MacBooks and other notebooks.